Giving Milla various bit of fruit to chew on after her daytime meals. 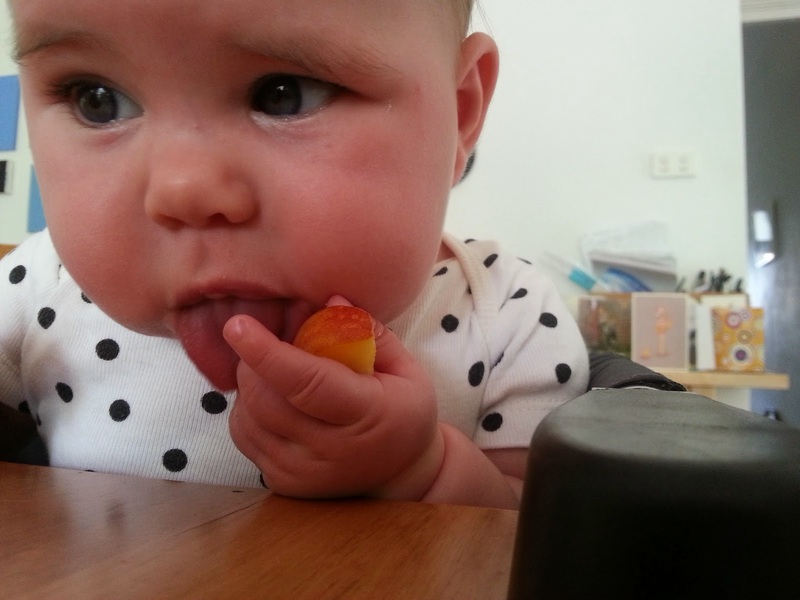 She pulverised a slice of nectarine on her tiny hard gums. After dicey milk supply following Bikram, I started mat pilates nearby, will give that a go. These days I have long productive mornings after Milla goes back to bed, housework, bike ride of 40 minutes, then reading, gardening and after that the day can meander in a number of different ways. Today I found Peter and the Wolf on YouTube and played that to Milla while I read about the rules of war. If I have nothing booked, I feel at a complete loss. If I have more than two things to do in one day, I get anxious. Weird pace of life.